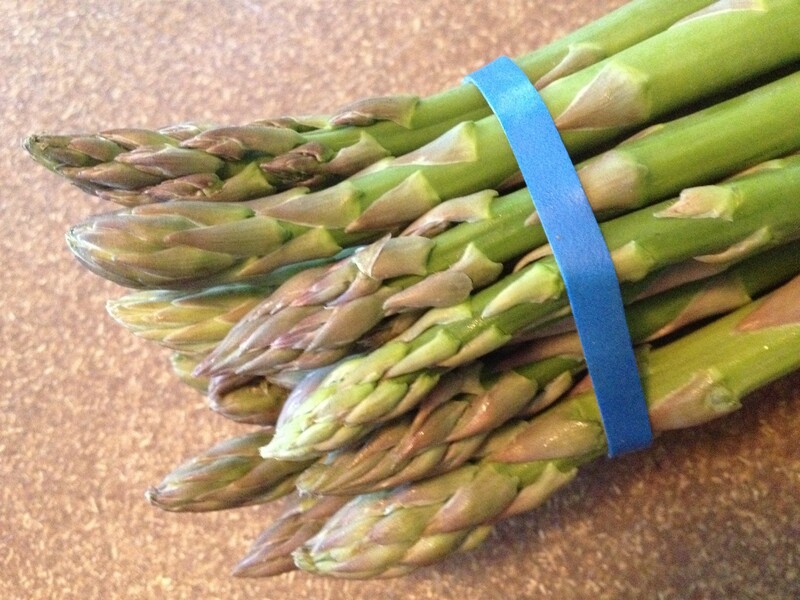 It’s springtime and local asparagus is back in stores and at the farmers’ markets. 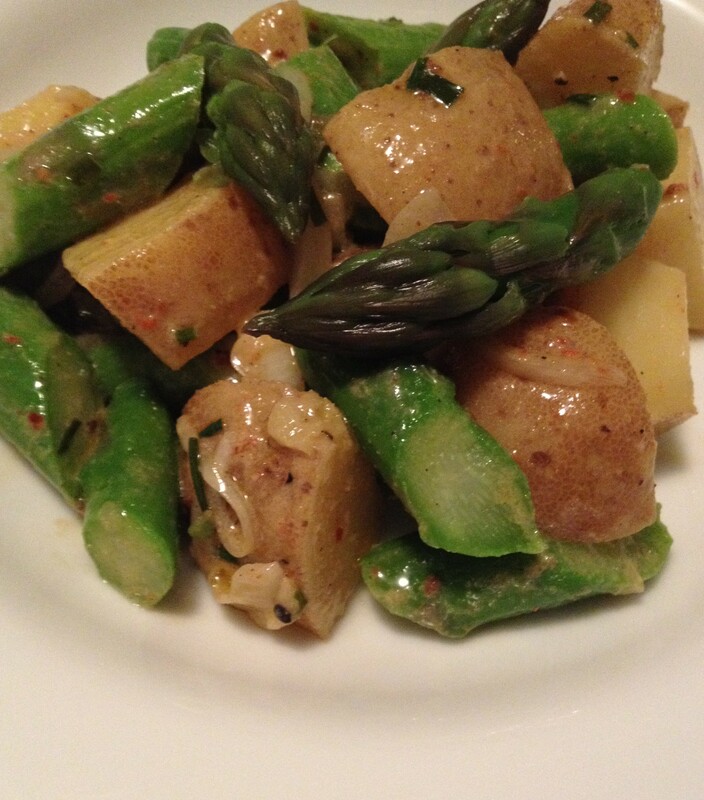 Here’s an easy recipe for potato salad that includes delicious, fresh asparagus. I like this vinaigrette based version better than mayo for letting the flavor of the asparagus shine through. By following the method in the recipe (letting the onions marinate in the vinaigrette, then adding the hot potatoes) the onions are “cooked” to make them milder than raw onions added at the end would be. • Cook asparagus by your preferred method—steamed, broiled or grilled. Just be sure not to overcook it. Cut into 1” lengths. 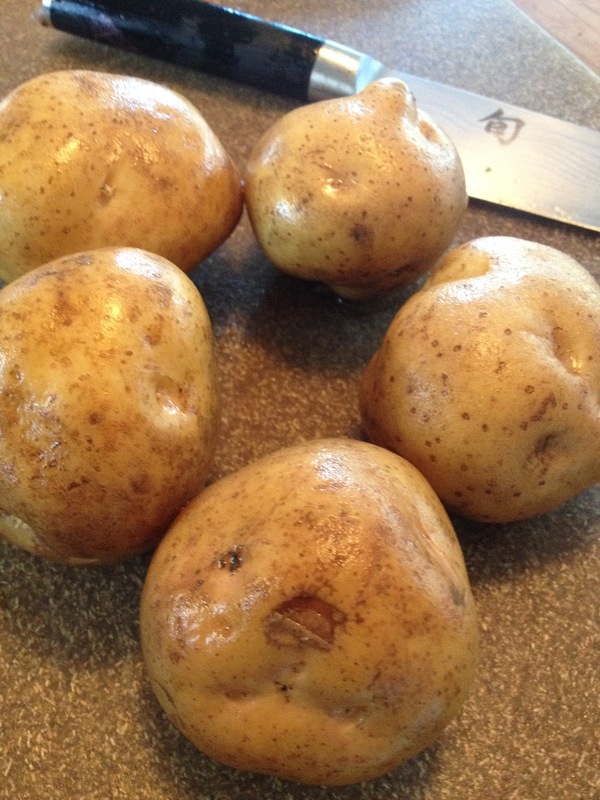 • Scrub potatoes and cut into ½” pieces. Place in a medium saucepan and cover with cold water. Add 2 Tblspns salt. Bring to a gentle boil and cook until just cooked through—about 15 minutes. Drain. • Meanwhile, make vinaigrette in a medium mixing bowl. 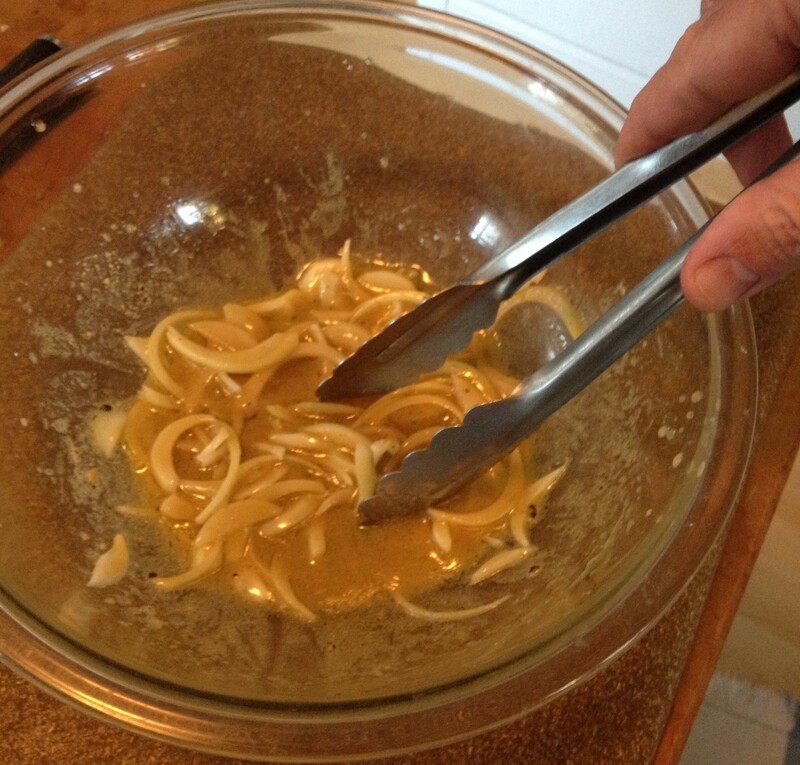 Whisk together mustard, salt, pepper and vinegar until combined. Continue to whisk while drizzling in oil. Stir in onions to thoroughly combine. • While potatoes are still warm, mix with dressing and onions. Gently stir every 10 minutes or so until cooled to room temperature. • Stir in asparagus and herbs. Posted on April 3, 2015, in farmers market, food, recipes, salad, spring, veggies and tagged asparagus, potato salad, potatoes, recipes, salad, vegetarian, yukon gold. Bookmark the permalink. Leave a comment.